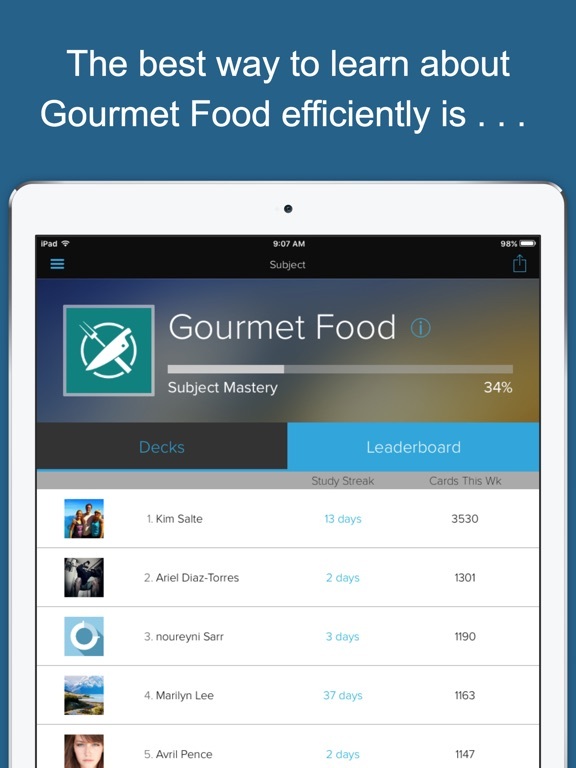 New Version: Test out what Gourmet Food is like for FREE, then unlock everything when you're ready. 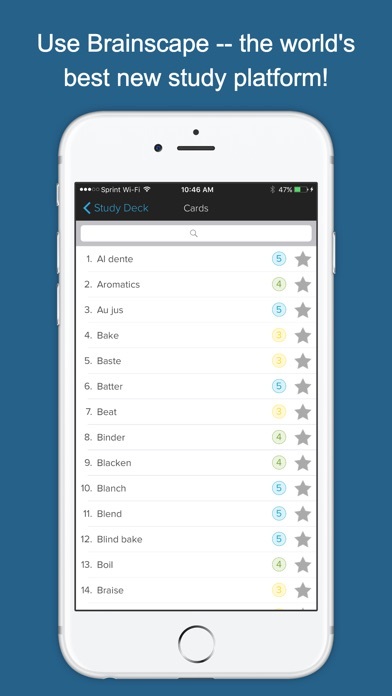 Want to sound smarter in nice restaurants? Want to hone your cooking skills and feel confident in the kitchen? Take the first step toward becoming a master chef by learning all the most important things to know about gourmet cuisine. 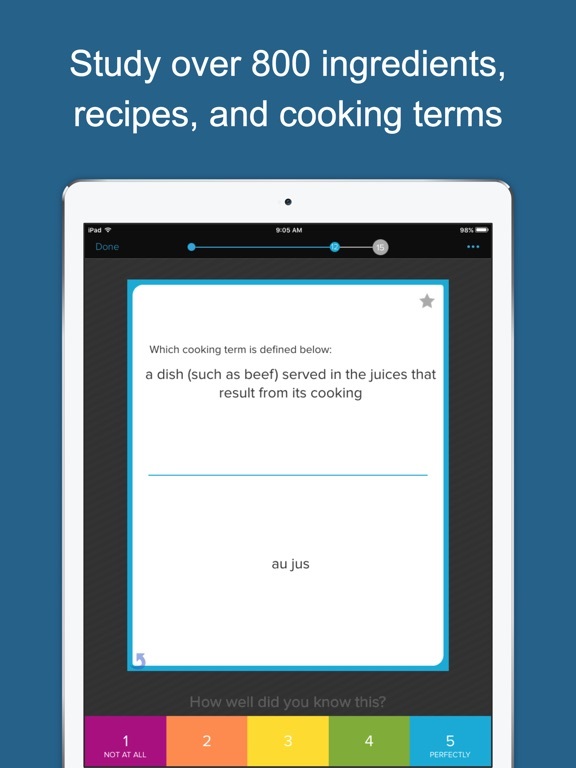 Brainscape is here to help you memorize the fundamental dishes, ingredients, and cooking terms that every chef or connoisseur should know. 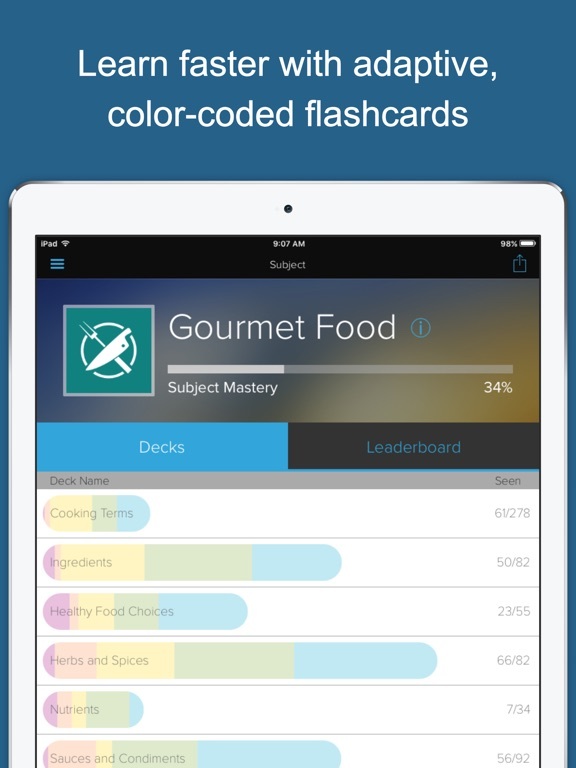 Applying the latest in cognitive science techniques, Brainscape’s Gourmet Food will allow you to QUICKLY and EFFICIENTLY learn over 450 dynamic flashcards covering recipes, cooking techniques, and proper table etiquette. 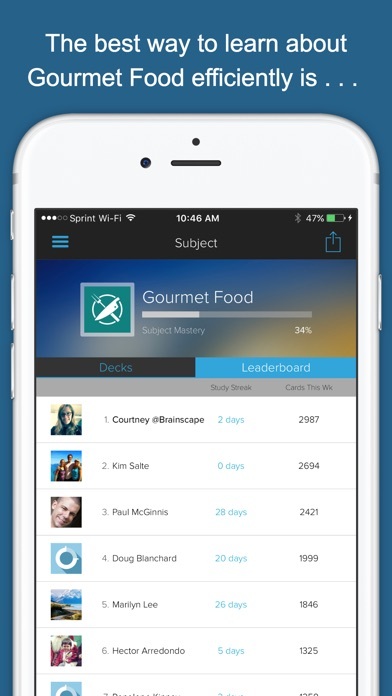 This app was created in partnership with John Stevenson, the acclaimed Executive Chef at The Rose Group, which manages New York’s popular Guastavino’s and 583 Park Avenue. 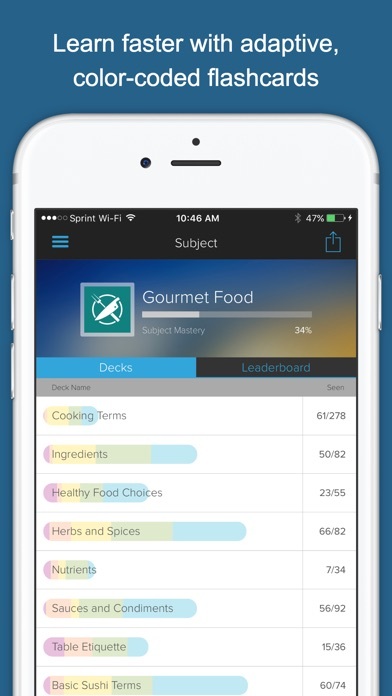 It’s the perfect app for anyone who wants to feel more comfortable in the kitchen and at formal dinners! 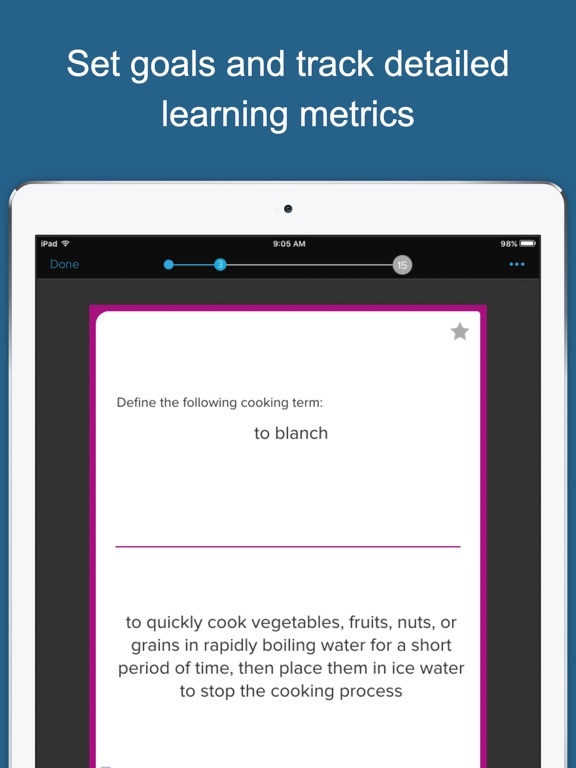 Brainscape is all about helping you learn FASTER. 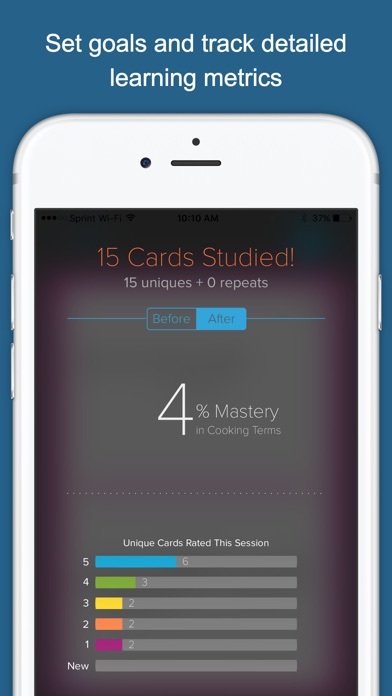 Through Confidence-Based Repetition, our intelligent flashcard platform delivers knowledge to you in the most efficient way possible. 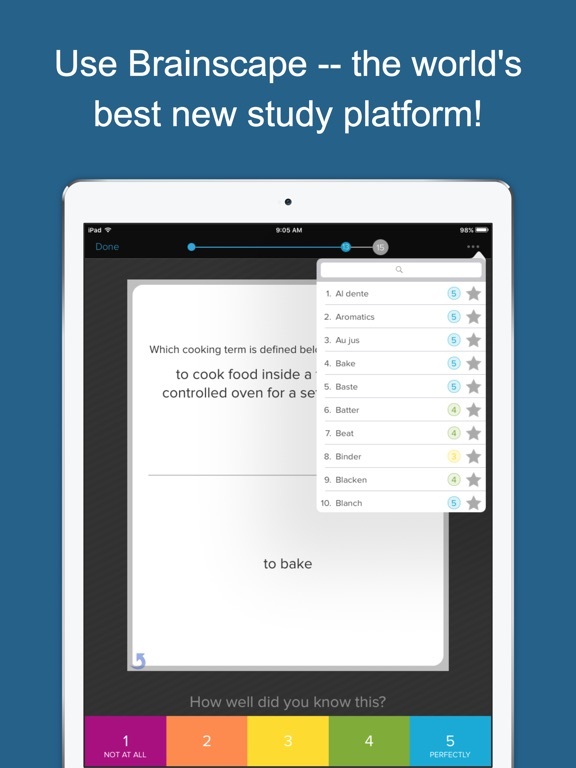 We make sure to cut down your study time, because –- let’s face it –- you’re busy! 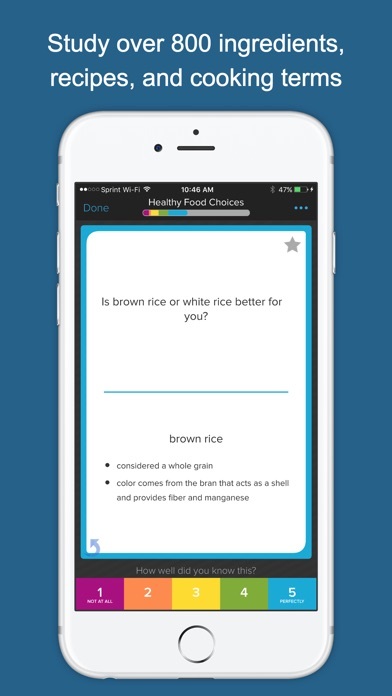 The Brainscape platform was created by learning sciences researchers from Columbia, Yale, MIT, and The Princeton Review, and all of our content is curated by some of the world's top subject matter experts. Check out our website at www.brainscape.com to see the growing body of subjects and features that we are developing to enhance your learning. Welcome to the Brainscape community! You'll be glad you joined us.